A new Google Maps mashup - Geo Search. Just click on the map and discover your street (city etc.) coverage in Google. A new version of QR map mashup has been released. It is a simple way for saving any map on your mobile phone using QR-codes technology. Choose the position on the map (the red marker points to the center), set the scale and simply move cursor over the marker. You will see a QR code for the selected map. So you can scan it with your mobile and transfer this map right to your phone. And mobile map will be presented as a static picture, so this technology is working on any mobile. Also you can share the generated QR-code via email, twitter or facebook. P.S. and for the preparing mobile map without any QR-code you can use another mashup: Mobile map. P.P.S. 100 posts in this blog. In the same time Coldtags suite ver. 3.55 is ready. The largest set of custom JSP tags over the Net contains 355+ controls and counting! From the latest additions check out for example QR code popup or Mobile link taglibs. Java component (servlet) lets you present a limited downloading in your web applications. E.g. content provider can support the time limited and/or counter limited downloading (some file will be available during the limited time or allow only one time downloading). An useful add-on to our QR code maker - QR code bookmarklet. Lets you obtain QR code for the current url (it will create a QR code image with the URL of the page you are viewing). More bookmarklets see here or on the bookmarklets page. As per updates for QR codes components in JSOS and Coldtags suite (see for example QR code servlet and QR code popup taglib) our QR code generators has been updated too. 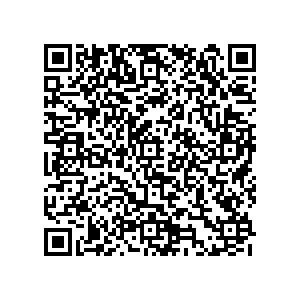 See a new version here: QR code maker. Cache for Google Charts - Google Charts servlet. Just passes requests to Google Charts and caches the output. So all the sub-sequent requests will be served from that cache. No more rate limits for Google Charts as well as the improved performance. The similar component is QR code servlet. Does exactly the same for QR codes (actually via Google Charts again). And generic form for this approach is supported by Dump servlet. QR map mashup has been updated. Mashup lets you create QR codes for maps and share them via email/twitter/facebook. There is an interesting concept from this component in our JSOS suite. Dump servlet lets you request the remote content and cache it right after the first delivery. So all the sub-sequential requests will be served right from your site. For example, suppose your own site includes some Google Charts API calls. Dump servlet could be used as a proxy for your Google Charts requests. As soon as the first request is served, all the similar requests after that will use cached data (it is configurable of course - time to live for cached data is user-defined). Google Mobilizer service lets you prepare on the fly mobile-friendly pages for any web site. And Mobile link taglib uses this service and provides a simple mashup lets you publish mobile links in your web applications. So in your mobile web applications this component lets you publish links "as is", and Mobilizer will take care about the rest. P.S. and Mobile taglib lets you detect requests from phone by the way. Server side component lets you add additional security for your HTTP sessions. The idea is very transparent. As soon as a new session is created we can remember the IP address of the creator. And after that during the session life time this IP address must be the same. Otherwise (IP address has been changed) we can assume that session ID has been stolen. And all steps could be combined just in one servlets filter: Protected sessions. Filter saves IP address for the fresh sessions and checks it for the sub-sequential requests after that. The long series of updates in our maps mashups (see Big Map, Mobile maps) - there is a new version for QR map too. See it here. We hope that the navigation is now much more flexible. QR map is a very simply and elegant way for the map data delivery. E.g. mobile scans the code somewhere on the street and gets the map for the nearby area. Mobile Maps created in our Mоbile Maps mashup could be shared via Twitter and Facebook too. Mashup BigMap (full screen Google map) lets you share links via Twitter and Facebook too. Secure notes service lets you share notes via Facebook too. See here. P.S. the development team used Coldtags suite of course. Many public API's from Web 2.0 projects introduce rate limits for the usage. E.g. Twitter API allows 70 requests per hour, Google geocode API does the similar things etc. Our mobile maps maker has been updated. Select the area on the full screen map (lookup the address) and create a static (that is the key point!) picture for the selected map area. This static picture (just a .gif file) could be viewed on any mobile phone. So you can share maps with your friends by this way, for example. See Mobile maps mashup for details. You've asked - we did. The latest version of Domain filter in JSOS supports regular expressions. So you can perform the redirection much more flexible. A small mashup lets you create annotated links. Provide an URL (list of URL's), add a text note and get one Tiny URL for the whole pack. So you can publish annotated links on your site for example. See it here. P.S. the pure (not QR code) map for the mobile users is still available via Mobile map mashup. A new useful 3-rd party API is covered by our suite. Delegate your files downloading to the free Coral CDN (content distribution network). See Coral redirect filter in JSOS filters. We would like to share with you one interesting model for the use of the PBX Asterisk. To be more precise, the main idea is to use the Asterisk as a platform for the development of telecommunication services. With its open source software and API, the Asterisk can bring the development of telecommunication services down to a simpler process of Web programming thus considerably lowering "the entrance barrier" for those involving in the programming of new services. We propose to integrate a new component (proxy) into the Asterisk platform. The main functionality of the proxy is to translate telecommunication calls into HTTP requests to external web services. Telecommunication services are located separately from the PBX, while the information they receive from Asterisk is presented as a HTTP-request. Technically, HTTP GET/POST request is a request, in which external telecommunications service passed information about the subscriber's name - CallerIdName, caller’s number - CallerIdNumber and and called number - Extension. Upon receiving necessary parameters, such as (calling/called number) a web service produces and forwards its instructions to the proxy. The latter receives and translates them into Asterisk instructions. The development of such services under the architecture described above is similar to a conventional CGI-script, for which there is a plenty of programming tools. As a result a programmer doesn’t need to be familiar with the Asterisk API. 3. Hit envelope icon and type email address there. You can use email-sms gate from your mobile operator and send link to the map via SMS. Technically this mashup uses Google static maps. New version is ready. 340+ reusable web components for JSP (or Cordfusion) applications and still growing. a parameter status (as per API requirements) with your message. So now you can post to twitter right from your JSP pages. In the mean time our collection of servlets and filters reaches the version 5.75. From the latest additions pay attention to Timing filter for example. It is a very quick and easy way to check out the performance for your web application. We are happy to announce that the next milestone release for Coldtags suite is out. Version 3.30 includes new UI and data access components as well as a lot of updates for the existing controls. Check out our experiments with Google Social API: URL's are faces too. The idea is very transparent - examine outbound links on the page, detect the links associated with the some Twitter account and output user's images from Twitter for the discovered links. A new mailstone for our servlets suite. See http://www.servletsuite.com/servlets.htm and download the latest archive. Actually we've started to redesign some old components also. from your own computer, copy results into mashup window and click Show button. You will see the intermediate nodes right on Google Maps. A simple trick with headers in HTML document lets you use your own URL on OpenID sites: OpenID delegate.